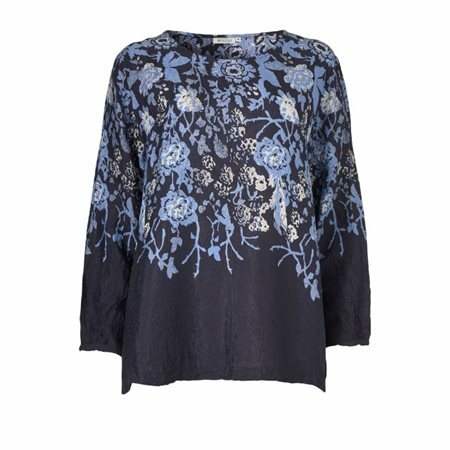 Top in slightly crinkled viscose with floral print in beautiful blue tones. It features plain sleeve ends as an extra stylish detail. The top is A-shaped, so it sits closely across your bust, offering plenty of freedom of movement. The design also features tapered sleeves. Stylish and useful!